You'll get quick pay-back on purchasing your own Oxygen Concentrator. Invacare 5-Liter Concentrator usually pays for itself in 8-12 months. 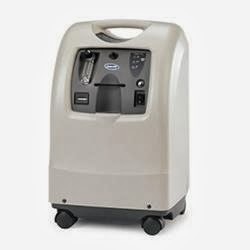 Give us a Call and Buy a Brand New, Top of the Line, Invacare Perfecto Concentrator for under $700. Invacare Perfecto2 W creates a White Noise and sounds similar to a quiet library, which is perfect for noise-sensitive patients.